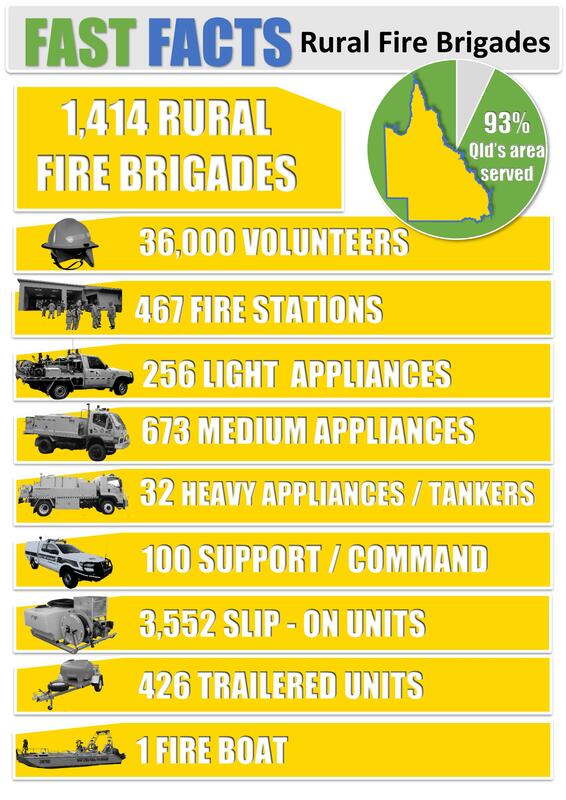 Queensland's Rural Fire Brigades comprise more than 1,400 volunteer brigades, and more than 36,000 volunteers (both firefighters and support members). They form the greatest band of volunteers anyone could hope to meet and the RFBAQ is proud to support and represent them. The Association also supports the 2,600 (or so) rural fire wardens who are an integral and highly valued part of the rural fire fighting movement ' many of them volunteer firefighters as well. Together, our Rural Fire Brigades volunteers are out there 'Fighting the Good Fight' and focused on protecting rural Queensland, which represents 93% of the state's land area. That's a big job in anyone's language and they deserve all the support that we can provide. Our state's volunteer fire brigades are as diverse as Queensland itself. In country towns and tiny remote settlements, more than 1,400 brigades stand ready to respond. Not only do they respond to fire, but almost any other threat to the well-being of their local communities. Disclaimer: This information, produced by the Rural Fire Brigades Association Queensland Inc. (RFBAQ), is provided in good faith using data available as at July 2018. In view of the possibility of human error by authors, editors or publishers of the material contained herein, readers are encouraged to confirm the information contained with other sources.